Trivia night is THIS Saturday, April 13th! Registration is now closed for this event. We are excited to have so many participants this year - get ready for a roaring good time! Don’t forget to dress to impress and win the prize for best 1920’s inspired costume. Please remember to bring cash for split the pot and mulligan tickets. As a reminder, doors open at 7 pm for drinks, music, and mingling with trivia starting promptly at 8 pm! Trivia night is a April 13! Form your teams NOW to get in on our 1920’s themed evening. Registration forms are due FRIDAY, April 5th. You can pay here or submit your cash or check to the office. If you don’t have a team, please email Kristen Engle and she can help put together a team for you. Attention all flappers, bootleggers, and Hemingways! We are excited to announce our theme for this year’s trivia night. Come join us for a Great Gatsby themed evening on Saturday, April 13th at 7pm. We hope you can join us for this adult-only event. The registration form can be found here and is due (with payment) to the office by Friday, April 5th. Please email Melissa Pittman or Kristen Engle with any questions. Chairperson(s) to contact to volunteer or for questions are: Melissa Pitmann and Kristen Engle. Edison's Annual Trivia Night is an adults' only social fundraiser held at the Knights of Columbus. It usually occurs towards the end of the school year. This year's Party for a Purpose will be held at Pinot's Palette on Sunday April 28 from 7-9PM! Grab a girlfriend and join other Edison moms for a fun night of painting and fundraising. The cost to attend this event is $40 per person. $10 goes directly to the Edison PTA as well as 10% of drink purchases. Appetizers and snacks will be provided compliments of Lesley Gunderson. Space is limited to 38 so register early to guarantee your spot! Register HERE. Pay HERE. Please contact Kristen Engle or Adriana Cooke if you have any questions. 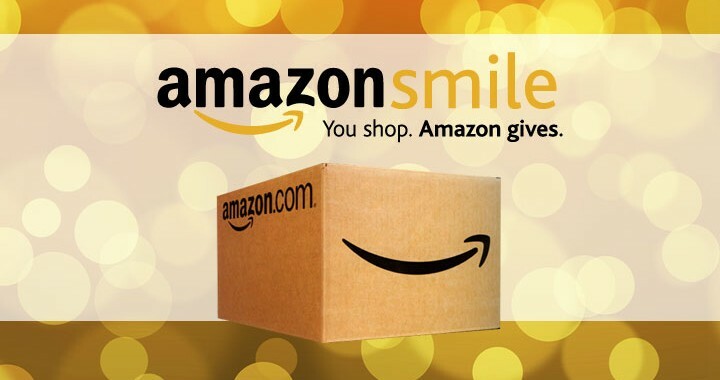 Don't forget if you frequent Amazon to shop via smile.amazon.com and select Edison PTA Inc. (Elmhurst) as the organization you would like to support! Amazon will automatically send .5% of purchases to the PTA. All Prime benefits etc. remain the same through this site. Thank you for supporting Edison School while you shop! Contact Lindsay Janowski or Kristen Engle with any questions. EVENT CLOSED - THANK YOU! This event has passed. Thank you for supporting our Winter 2018 book fair! The Book Fair starts today (11/14) and we need your help to make it a success! Several volunteer slots are still open. Please click HERE to pick a time slot (or two) that works for you. Work the cash register, hand out snacks at the snack party or help with set-up and/or take-down. No experience necessary! We will train you at the start of your shift. New this year, you'll receive a raffle ticket for each work shift to be put in a drawing for books or coupons toward the book fair! Thank you in advance for your help! Please come check out this year's Book Fair by Anderson Book Company. All new inventory with some old favorites in the mix. The book fair is a fun way for families to purchase great books and get kids excited about reading! All of the proceeds from the book fair are used by our librarian, Mrs. Greska, to purchase books for our Edison library. Please remember to turn in your Box Tops by Friday, February 15th in order for them to be counted for submission. Simply send them to school with your child or you can also drop them off in the box by the office. Each Box Top is worth 10 cents and the money accumulated goes directly to the Edison PTA. In addition, the class that turns in the most Box Tops will win a prize for their classroom! Edison earned over $350 from this year's first submission and Mr. Williams' class won 3 Blue Stem books for their classroom! Please contact Lindsay Janowski with any questions about Box Tops. Congratulations to Mr. Williams' class for collecting the most Box Tops! The class won 3 BlueStem books for their prize. Mrs. Ferst's class came in second place and Mrs. Costello's class was third. Thank you to all for submitting Box Tops! As a whole, the PTA earned over $350 just for submitting Box Tops. Keep collecting as the next submission date is March 1st. Each Box Top earns $.10 for Edison School! When program kicks off (date/time TBA), please turn your Box Tops into the designated box outside the office. Box Tops don’t have to be cut out on the dotted lines anymore (yay!). It’s easiest to place them in an envelope or baggie, labeled with your child’s teacher’s name (there will be a contest for the class collecting the most Box Tops). To rack up even more savings, consider downloading and using the Box Tops Bonus App (through the App Store or Google Play). Please contact Lindsay Janowski if you have any questions. Any questions about Box Tops & Other Shopping Incentives, please contact Lindsay Janowski. We are partnering with City Tree Delivery (flyer) this year to make your holidays a bit easier while supporting Edison. CityTreeDelivery.com has premium grade fresh Fraser Firs, stands, lights, wreaths, garland, accessories and more. They also have optional delivery, tree set-up and removal. Please enter "EDISON15" at checkout for our school to earn a $15 donation for every online tree order. You can also visit their new retail lot (opens on 11/23 at 281 N. York, Hamburger Heaven parking lot) and email a copy of your receipt to earn a $10 donation for our school. Contact Katie Balke, CityTreeDelivery.com Chairperson, with any questions and/or to volunteer! Mark your calendars for our last eat & earn of this school year! Please plan on Chipotle for dinner on Tuesday, April 9th from 4-8pm. You must mention the Edison fundraiser for us to get the order credit. A night off from cooking while supporting our school; it's a win-win! Contact Ellen Kircher, Eat & Earn Chairperson, with any questions and/or to volunteer! Mightynest is an online company (please click HERE for their website) that sells a broad range of safe/healthy housewares (from bowls and cups to sunscreens). By registering with Mightynest and choosing Edison school, 15% of your purchases will be donated back to Edison! This is an easy way to help your school while purchasing products you need for your home. Thank you for your consideration! Any questions about Box Tops, Shoparoo, Mightynest & Other Shopping Incentives, please contact Lindsay Janowski. EXTENDED! You can now shop the Mixed Bags Fundraiser through the end of November! Great gifts for friends and family are available; click the link to start your shopping. As a reminder, 40% of what you spend goes directly to the PTA. Edison’s ID number is 585218. Contact Kristen Engle, Mixed Bag Chairperson, with any questions and/or to volunteer! Mark your calendars for an evening of classic 50's holiday fun. The Alvarez and Kuhrt families will be hosting a Mad Men style soiree with hors d'oeuvres, drinks, games and prizes at the Alvarez's home, 414 S Arlington Avenue. We are looking for more parents to host these fun events. If you would like to consider hosting a Monthly Mixer, we'd love to hear your ideas! Contact Adriana Cooke or Kristen Engle for more information. 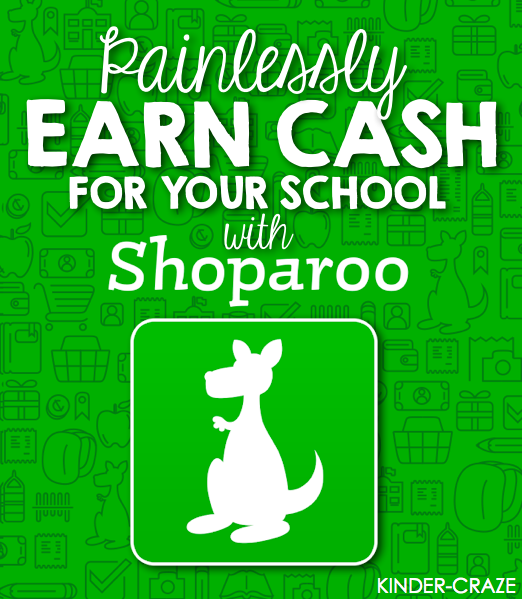 Shoparoo is an easy and hassle-free money maker for Edison! Shoparoo is a free app for iOS and Android phones that allows anyone to take pictures of their shopping receipts to earn CASH donations for Edison. Shop any product at any store, take a picture of your receipt using the Shoparoo app, and Shoparoo donates to Edison. It is that simple!! The first 20 people to sign up earn $1 for Edison. Download the app today! **Please make sure the date and total are visible. You may need to take more than one photo if you have a long receipt. FUNDRAISER CLOSED - THANK YOU! This fundraiser is now closed - thank you supporting Square 1 Art! Square 1 Art orders must be placed by this Friday, November 16th (no exceptions). Please consider purchasing your student's work of art (think gift ideas for the Holidays). There is a display near the school office to see some of the options in person. Ordering is easy, with both paper and online options. Questions, please reach out to Megan Kleinberg. CLOSED - THANK YOU! Thank you to all the volunteers and our carnival co-chairs! And a very special thank you to all our fellow Edison Families for making this a truly unforgettable event. To those who purchased raffle tickets and wristbands, placed bids in our silent auction and purchased classroom art, we are truly grateful for your contribution. To all those who made monetary donations, donated services, tickets and other resources and prizes to create our incredible raffle, your generosity is appreciated so much. Every dollar raised goes back to the school to benefit and enrich our children’s education and experience at Edison. So many programs that the PTA is able to provide are because of you! Thank you for going above and beyond our expectations. Edison is the best! QUESTIONS? CONTACT(S) To learn more, contact Adriana Cooke or Kristen Engle to find out ways you can support this event in the future. Unlike our Monthly Mixers, these buy-in parties do not need to be catered to adults. You plan and host the party and all money raised to attend the party goes directly to the Edison PTA. We can't think of a more fun way to fundraise! Below are a few party ideas but feel free to get creative and come up with you own! They can be as simple or as elaborate as you want! Thank you for your interest in donating to our biggest fundraiser of the year! Your generous donations help fuel our school with amazing PTA sponsored programs such as One School - One Story, Running Club, Family Math Night, Science Olympiad, Back to School Block Party, Fall Family Fest and many more! Below is a list of items we are seeking for our raffle. Of course, ANY donation is appreciated. Consider going in with another family or two to purchase one of the items from our wish list. Or, to make it easy on yourself, consider a monetary donation and let us do the shopping for you! All monetary donations can be dropped off in an envelope marked "carnival donation" in the office. For all other donations, please contact Adriana Cooke to arrange collection. Razor Ride on toys (years past we had mini ATV, Dune Buggy, electric scooters, etc) - always popular! Vacation Package (do you have extra miles to turn into airline gift cards or a vacation home you are willing to share? Anything with a “priceless” price tag.